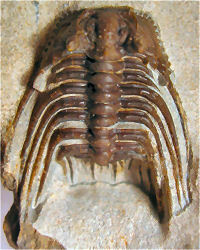 The site "Pelm-Salmer Weg" near the small village of Gees, in western Germany, is famous for fine Eifelian trilobites that have been found there over a 200 year period. 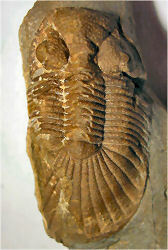 The Trilobitenfelder (Trilobite Fields) there comprise the type stratum and locality for many classic trilobite species. 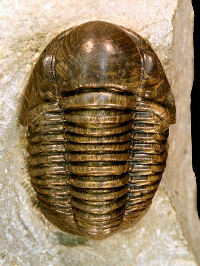 The earliest trilobite described from the site dates back to 1825, when Heinrich Georg Bronn collected and described "Calymene schlotheimi," now Geesops schlotheimi. Other early descriptions include Gerastos cuvieri (Steininger 1831), Asteropyge punctata (Steininger 1831) and Ceratarges armatus (Goldfuss 1839). 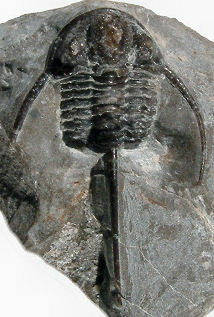 World famous pioneer trilobitologists Rudolf & Emma Richter contributed greatly to the knowledge of the trilobites from the Gees site and to trilobites in general, via an impressive number of publications. 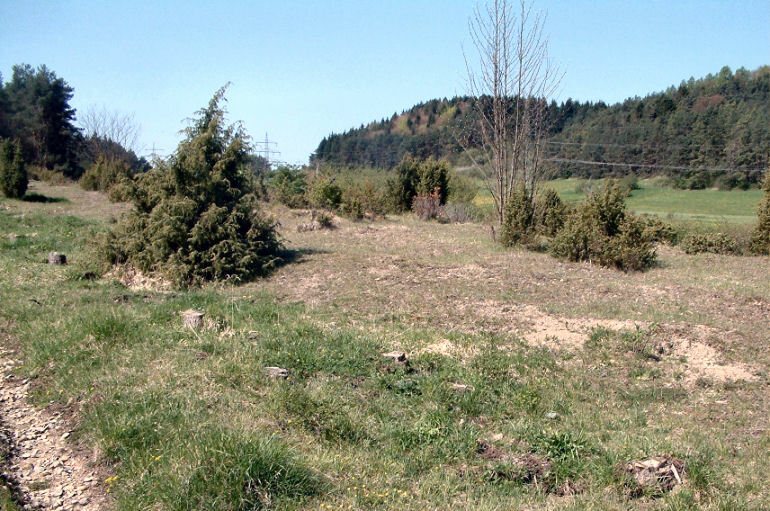 The site has been extremely popular to collectors, some of whom brought heavy equipment to dig there. In 1984 the situation became critical; the site looked like a cratered war zone. 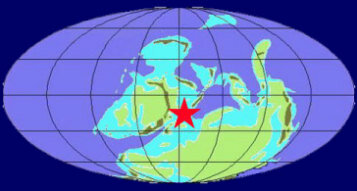 Authorities were forced to prohibit further collecting there. Today, the Gees site is protected. 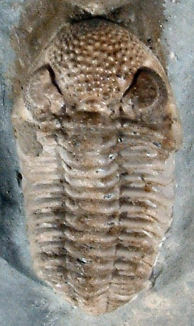 Among the most common trilobites from the Gees site are Geesops schlotheimi (by far the most common species of Gees, with ~90% of trilobite specimens collected there being G. schlotheimi), as well as Gerastos cuvieri, and Cyphaspis ceratophthalma. Very rare, but distinctive Gees taxa include Ceratarges armatus, Harpes macrocephalus, Radiaspis radiata, and Astycoryphe senckenbergiana. The preservation of exoskeleton at Gees is often very good, with dark exoskeleton contrasting against lighter matrix, as in the examples below. 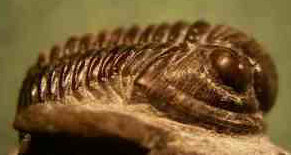 The best preserved sometimes show a wood-like "grain" that is a signature of trilobites from the area. 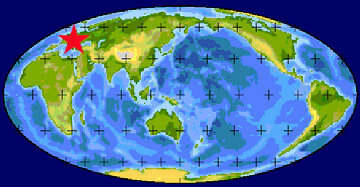 Many thanks to Benedikt Magrean and Harald Prescher, who provided references, images, and information in the development of this page. It certainly would not have been developed without their great help! Also thanks to Andreas Rückert, who provided excellent images of additional Gees trilobites, including Kettneraspis and Scutellum, to round out the display! Basse, M., 2003. Eifel-Trilobiten 2. 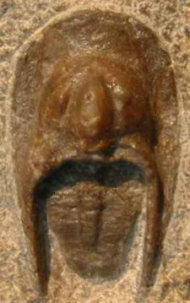 Phacopida 1. Goldschneck-Verlag, Korb. Kowalski, H., 1990. Trilobiten aus dem Devon der Eifel. Aufschluss, 33:11-63. Richter, R., 1909. 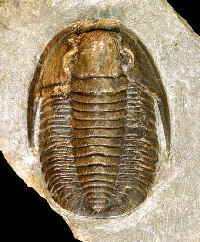 Beiträge zur Kenntnis devonischer Trilobiten aus dem Rheinischen Schiefergebirge. Marburg. Struve, W., 1970. 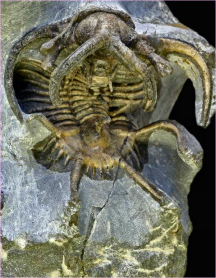 Beiträge zur Kenntnis der Phacopina (Trilobita), 7: Phacops-Arten aus dem Rheinischen Devon. I. Senckenbergiana lethaea, 51(2/3):133-189.